We are looking for Aussie Dads who want to join our #DadsDomain! #DadsDomain is the place that offers you the space to share the ups, downs, joys and challenges of parenting from your unique perspective. To be one of the voices that leads #DadsDomain safety and parenting discussion, please submit your profile and short 1-2 minute VLOG of ‘how you are dealing with day-to-day parenting challenges’ to have your chance to be a part of all the action! TIP: See ‘How To Dad‘ for inspiration. Please share the link to your sample Vlog. You can upload your video on any platform including YouTube, Dropbox, Google Drive, iCloud, etc. and send us a shareable link. https://safetysquad.britax.com.au/wp-content/uploads/2017/07/B6a.jpg 767 1024 Britax https://safetysquad.britax.com.au/wp-content/uploads/2017/02/SafetySquad-logo.png Britax2017-07-18 14:25:192017-07-26 14:32:22What Do Parents Say About Kid Guard PRO™? For parents, the safety of your child in the car is of the utmost importance. However, many of us mistakenly move our child into a booster seat or out of a booster seat sooner than it is safe. Whilst each state has their own requirements, children aged 4 – 7 years old must be secured in either a forward facing seat with an inbuilt harness or a child booster seat. Not all 4 year olds are the same size though of course. So parents should progress to a booster seat based on height rather than age. So before rushing your child into a booster seat because they’ve had a birthday, first check that they fit within the shoulder height marker on the car seat you are using. We at Mum’s Lounge have learned about the newly launched Kid Guard PRO™ from Britax and like most Mums, we know, trust and love Britax products. As a result, we are happy to share what we have found out that the new Britax Kid Guard PRO™ is the only booster in Australia providing safety all the way up to double figures – 10 years (approx.)! And in the coming weeks, 12 Mums from Mum’s Lounge audience community will be trialling the Kid Guard PRO™ with their child too, so be sure to check back and see what feedback they have for us. How to Choose a Booster Seat? When investing in your child’s booster seat we recommend firstly considering all of the safety features it has to offer including ease of use, the comfort of the seat as well as value for money. An expandable booster that can grow with your child is a great option! In Australia, it is illegal to purchase or use a car seat that does not comply with the Australian/New Zealand Standard 1754. Always look for the certification mark AS/ANZ:1754 on the car seat you choose for your child. Choose a brand you trust. Britax is the number 1 brand in car seat safety technology leading the world with innovative car seats, strollers and travel systems. The latest safety innovation from Britax called the SecureGuard™ is easy to use Britax patented exclusive feature that ensures the vehicle seat belt is properly positioned on your child’s hips, minimising the risk of abdominal injury during a crash and preventing them from sliding under the seat belt. Whereas booster seats ordinarily offer 3 points of contact, the SecureGuard™ provides a 4th point that sits between the child’s legs securing the seat belt in the correct position, whilst also allowing your child adequate wriggle room whilst on the move. In the event of a collision, a lap belt that is improperly positioned across a child’s abdomen can cause serious injuries, including injuries to internal organs that can’t always be diagnosed immediately and can be life-threatening. The SecureGuard™ anti-submarining device ensures that the seat belt is secured across the strong bones of the pelvis rather than the abdomen. The SecureGuard™ anti-submarining device is also available on Britax’s most popular booster seats including the Hi-Liner™, Maxi Lite™, Tourer™ and the newly launched Kid Guard PRO™. 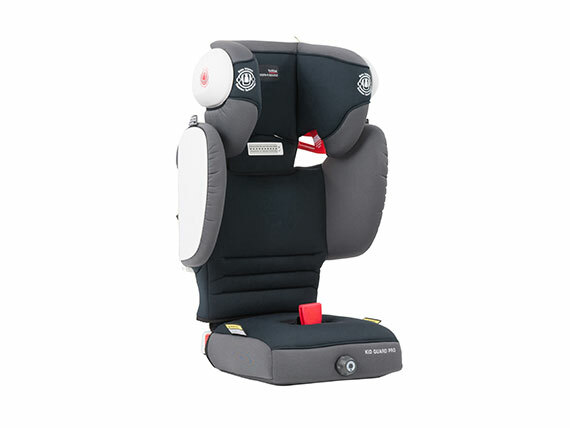 In addition to the innovative life-saving SecureGuard™ anti-submarining device, the Kid Guard PRO™ also features expandable side wings to deliver lateral support ensuring your child’s body is sitting upright, providing a safer seat belt and is equipped with Side Impact Cushion Technology (SICT™) to maximise your child’s head protection in the event of a side impact collision. The expandable seat design allows parents to adjust the height of the seat as their child grows – a feature that offers increased safety and value for money. The compact slim-line base also makes the Kid Guard PRO™ an excellent option for parents with multiple child seats in their car, and it can be easily transferred into a friend or family members care as and when needed. The built in sash guide ensures ease of use regardless of who is fitting it. Suitable for children between the age of 4 – 10 year old (approx. ), the Kid Guard PRO™ is an expandable booster seat with 9 height adjustments for the RRP of $399! When Can I Move My Child to an Adult Seat Belt? According to Britax, children are often moved into adult seat belts too soon. 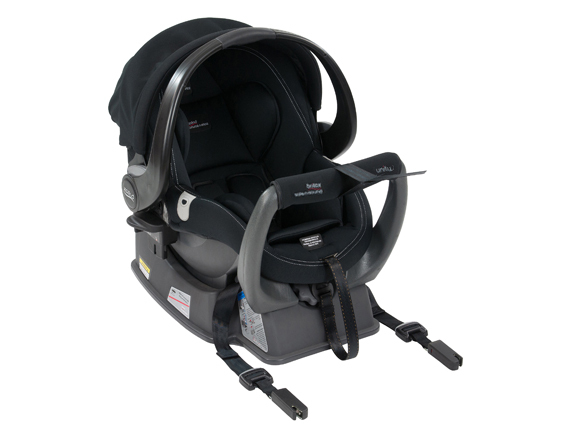 Britax as industry leaders, believe in ‘Harnessed Safety for Longer.’ Adult seatbelts are designed for a minimum height of 145cm, but height isn’t the only indicator. Before graduating your child to an adult seat belt please consider the following factors outlined on the Britax Australia website. If your child’s legs are shorter than the depth of the seat and do no hang comfortably over the seat edge, your child is likely to move forward or slump in their seat which will change the position of the lap belt and increase the risk of serious injury. If the seat belt crosses your child’s face or neck rather than their chest, your child is likely to place the seat belt behind their back to remove this discomfort greatly increasing the risk of injury. If the lap belt rides up over your child’s abdomen when sitting correctly, your child is at increased risk of serious injury (The lap belt should always be positioned over the hips and thighs). If your child wriggles or slumps in their seat, the lateral support provided by a booster seat reduces the risk head, neck and abdominal injury. With the new Kid Guard PRO™ booster suitable for children up to 10 years of age (approx. 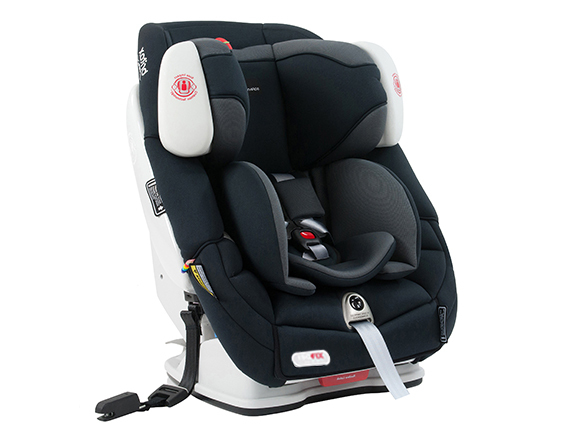 ), it is recommended that parents keep their child in a booster seat for maximum safety. https://safetysquad.britax.com.au/wp-content/uploads/2017/06/KGP1.jpg 512 768 Britax https://safetysquad.britax.com.au/wp-content/uploads/2017/02/SafetySquad-logo.png Britax2017-06-28 16:41:012017-06-28 16:56:38Knowing When Your Child is Ready to Move Into a Booster Seat, and Ready to Move Out of One! The summer school holidays invariably mean that many families will be spending more time in their cars in the coming weeks. Whether it’s a long family road trip or shorter excursions to local beaches or attractions, having our children home from school for six weeks usually involves us strapping them into the car more than usual. That’s why this is the perfect time for us to remind parents about the importance of using the correct child safety seats. It’s a worrisome fact that many parents move their child into a booster seat or out of a booster seat before it is safe to do so. With so many different products on the market, it can be difficult to know where to start when it comes to purchasing your child’s booster seat. But doing your homework really is key. Britax recently invited Mum’s Lounge Dad, Alex Shepherd and his family to review their newly launched booster seat, the Kid Guard PRO™ which features their innovative life-saving device the SecureGuard™. Alex and his wife have been actively researching booster seats for their growing child and very much in the headspace to review the newly launched Kid Guard PRO™; they were really impressed with all of the safety features, the ease of use, and the comfort provided for his daughter. Check out exactly what Alex thought of the Kid Guard PRO™ in the video below. Britax is the number 1 brand in car seat safety technology leading the world with innovative car seats, strollers and travel systems. 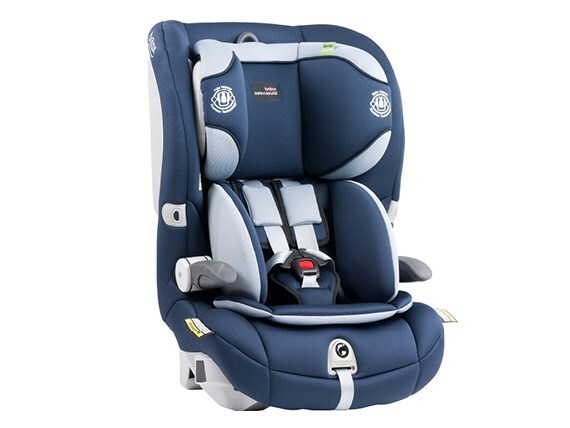 The latest safety innovation from Britax called the SecureGuard™ is easy to use Britax patented feature that ensures the vehicle seat belt is properly positioned on your child’s hips, minimising the risk of abdominal injury during a crash and preventing them from sliding under the seat belt. Whereas booster seats ordinarily offer 3 points of contact, the SecureGuard™ provides the vital 4th point that sits between the child’s legs securing the seat belt in the correct position, whilst also allowing your child adequate wriggle room whilst on the move. In the event of a collision a lap belt that is improperly positioned across a child’s abdomen can cause serious injuries, including injuries to internal organs that can’t always be diagnosed immediately and can be life-threatening. The SecureGuard™ anti-submarining device ensures that the seat belt is secured across the strong bones of the pelvis rather than the abdomen. The SecureGuard™ anti-submarining device is also available on Britax’s popular booster seats including the Hi-Liner™, Maxi Lite™, Tourer™ and the newly launched Kid Guard PRO™. IMPORTANT: All car seats must be labelled with an Australian Standard sticker for the standard AS/NZS 1754. It is one of the most stringent child restraint standards in the world. All car restraints sold in Australia must comply with the standards that cover materials, design, construction, performance, testing and labelling.